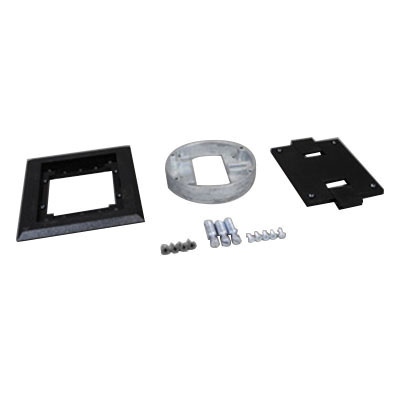 Wiremold Complete flush activation in black color, is specifically designed for use with Source I® single-gang flush service fittings. It features polycarbonate construction for added durability. This rectangular component has a dimension of 5-3/4-Inch x 4-3/4-Inch. Flush activation is UL listed.